If you go outside tonight or tomorrow for the Christmas celebrations, and you’re in the Northern Hemisphere, you’ll see the familiar constellations of winter. Orion is one of the more prominent constellations, visible to the south, with three of the brightest stars in the sky. Just underneath Orion’s left knee is Sirius, the brightest star in the northern hemisphere. 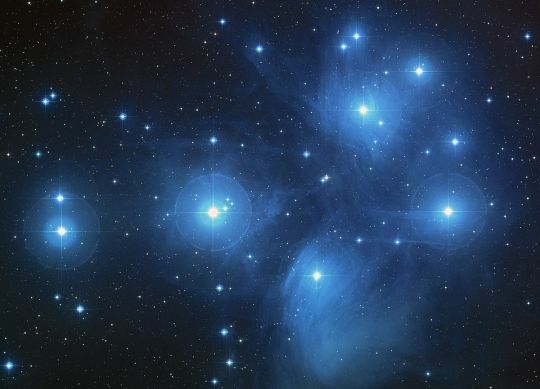 Above Orion shines Taurus, and above Taurus, the small cluster of stars known as the Pleiades. To the north we would see the Big Dipper, which is technically Ursa Major (the large bear), and by following the line drawn by the two stars at the end of the dipper, we can trace our way through the sky to the North Star, Polaris. The North Star is remarkable because it doesn’t move over the course of the night; this is because our planet’s axis of rotation points pretty directly at that star in our sky. However, this axis isn’t stable over time. There’s a 24,000 year cycle, where our planets rotation gradually shifts the direction it points in the night sky. 2000 years ago, Polaris would have been noticeably further away from the axis of rotation, which means it would spin in a little arc over the course of the night, and change its position relative to North over the course of the year. Possibly a better proxy for a North Star at the time would have been Kochab, a star at the other end of the Little Dipper, but nothing would have been as accurate a pointer as Polaris currently is. There have been some suggestions by biblical scholars that the historical Nativity might have happened earlier in the year, perhaps sometime between spring and late summer. If that’s the case, then the constellations you might see would be a little different. 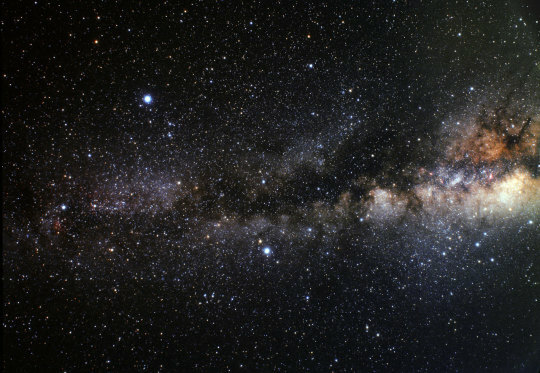 Anything visible in winter between the north star and the horizon would still be visible, but if you’re in summer, your brightest constellations are overhead; Lyra, with Vega as its brightest star, Cygnus, with Deneb as its brightest star, and Aquila, with Altair as its brightest star. Between the three bright stars, they trace out the Summer Triangle, directly overhead. Tomorrow night (Christmas night), there is a full moon. If it’s clear where you live, head outside and look up.